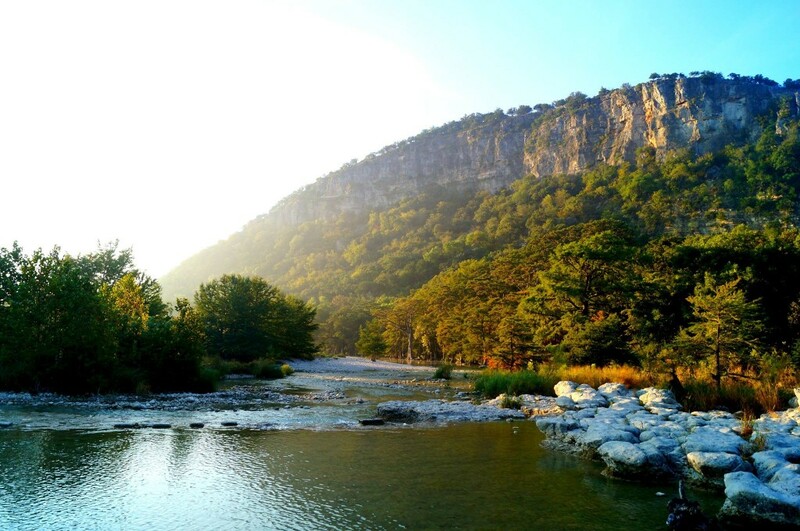 I took this picture at 7:45 AM, October 11, 2015, on the Frio river, outside Garner State Park Concan Texas. Absolutely beautiful! I had to stand in the middle of the river dam for the perfect angle! It got over 12,000 likes and 2,500 shares on Facebook!